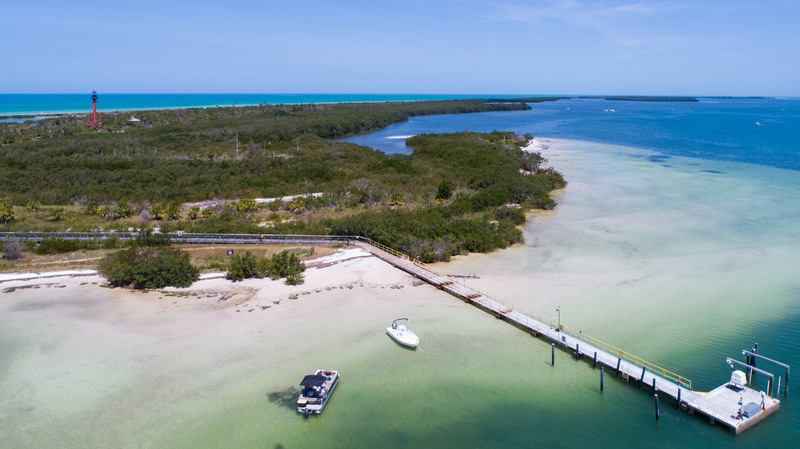 Enjoy the blue-green Gulf waters that lap gently along the sandy beaches of the four islands that make up Anclote Key Preserve State Park. A picturesque 1887 lighthouse stands as a sentinel on the southern end of the island. Visitors can swim and sunbathe at the beach, fire up a grill and enjoy a picnic, or pitch a tent and enjoy a night of primitive camping under the stars. There are no provisions offered on the island, so be prepared to bring your own water and supplies.